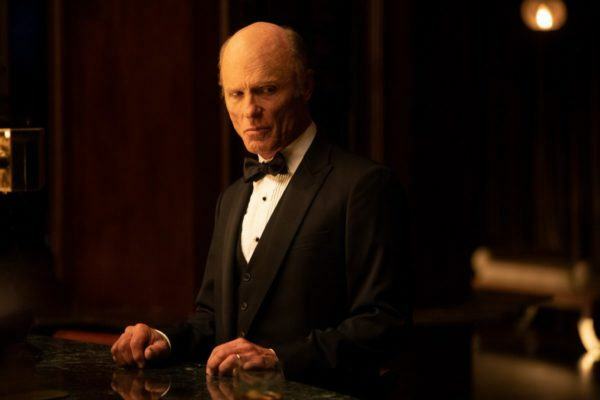 For all the questions Westworld elicits from its viewing audience, there is one that has dominated the online discussion during its second season: is the Man in Black a host? 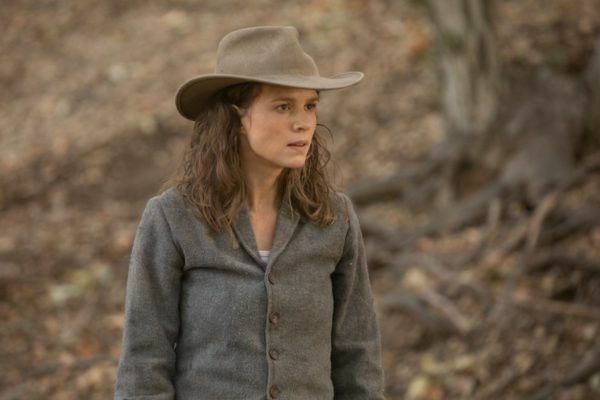 After episodes and writing my recap each week, I scroll through my Facebook feed and various other online forums where the question is discussed and read all the (sometimes head-shaking, other times though provoking) evidence different viewers have gleamed from each episode to prove that, yes, indeed, the Man in Black is or is not a host. Is the MIB himself in fact a host, just like so many others in the park? We are going to have to wait at least one week to find out the truth to this question. And don’t let anybody tell you otherwise. 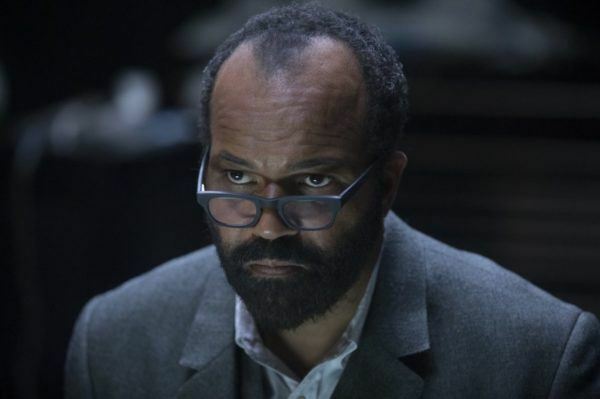 We didn’t actually see what was in the MIB’s arm, so all we know for certain is the MIB has gotten himself so immersed in Westworld that he doesn’t know at this point if he’s a human or host anymore. Now, I’ve been firmly on the side of “the MIB’s a human” the entire season, and nothing that happened Sunday night changed my stance on this. The very human MIB no longer knowing would be a far more interesting dilemma than a simple “Oh I’m a host, that explains everything” situation that could bail the MIB out of all the horrible things he’s done. But if I’m wrong about this, I will admit it, congratulate those who’ve proclaimed “The MIB’s a host” all season, and criticize the show for recycling last year’s key question. 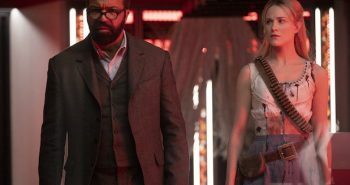 As for this week, let’s breakdown those pivotal flashbacks that shaped the MIB and his family, the near end of Dolores’s journey, and Dr. Ford’s musings to a couple of key hosts in different parts of the park. The MIB’s arc in “Vanishing Point” presents the conflicting sides of his life. One side is the one the world sees: the wealthy philanthropist at a party in his honor. The other is the Man in Black in the park, and he appears at his physical and mental end. Emily brings the MIB to a “rally point” (where injured/abandoned humans go to be taken out of the park) and they talk about Juliette’s (the MIB’s wife, Emily’s mother) suicide. Emily blames herself for throwing away a ballerina inspired jewelry box that her mom gave her for her 16th birthday. But now she doesn’t know why her mom killed herself. What was different that night compared to previous nights when Juliette had too much to drink? Emily had a lot of questions she wanted answered Sunday night. Well, what happened was at the party, the one to honor MIB and where Juliette has too much to drink again, the MIB runs into Dr. Ford. It’s a shame these two don’t have more scenes together. Here, Ford hands the MIB his profile: a card showing all the actions the MIB’s taken in the park. It was that card that ultimately lead to Juliette’s suicide. But before she does, Emily makes one last attempt to save her. She wants her mom back in rehab, and she doesn’t want her to get out. That would never happen because Juliette asked to know the truth. And the MIB gives it to her. He just thinks she’s asleep. The MIB confesses that she was right all along. He admits to not being hers, and he actually belongs to another world. Juliette gets out of bed after the MIB walks out of the room. She saw him hide the card, so she grabs it and places it on the tablet. There, Juliette sees the MIB for who he really is in the world he claims to belong to. She then places the card in a ballerina box (guess it didn’t get thrown away after all) for Emily to find at a future date. Back in present day, the MIB has had enough. All of Emily’s questioning has him thinking again that she’s a host. What is real and what is not is becoming less apparent by the moment to the MIB. And as it turns out, Emily’s motivation was to turn her father in and expose his research to the world. A crew of humans (not hosts) arrives to take him, but the MIB blows them away. He still thinks they are all hosts. Emily says she’s seen the MIB’s profile. And the MIB uses that as further evidence that Ford sent her because who else would know about that card? The MIB doesn’t know Juliette looked at his profile. So only Ford would know about the profile that was given to the MIB. This is the logic the MIB uses as he shoots (and we think, kill) his own daughter as she reaches in to grab the card. But as he goes to cut her arm open and prove she is just a host, the MIB sees the card stained with Emily’s blood. The MIB is once again on the brink of suicide. But who puts the gun down and, during his final scene on the night, he cuts his arm to see whether he is a host or not. Meanwhile, Bernard continues his escape from HQ. On his way out, Charlotte Hale observes Maeve’s powers through Clementine. That was the cue to contact Karl Strand (the tall bald guy) and his crew to come to Westworld. So I guess we are all caught up now? Also, Dr. Ford is still talking to Bernard. Ford uses Bernard to get a message to Maeve. He tells the host she’s always been his favorite, and he encourages her not to let her story end here. Bernard spent the entire night dealing with the voices in his head. Ford continues torturing Bernard, encouraging him not to trust Elsie (who Bernard picked up on his way out of HQ). But Bernard vows not to hurt her again. He appears to delete Ford from his system. And to keep her from danger, he leaves Elsie alone in the wild. Vanishing point ends with Dolores standing alone, Her crew runs into members of the Ghost Nation, and they don’t want her going to the Valley. They debate the merits of the Valley before battle ensues. Only Teddy and Dolores are left standing. 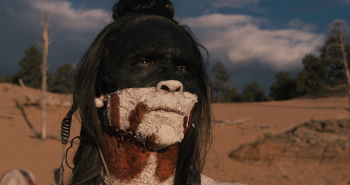 But Teddy has moment of returning conscious as he lets one of the Ghost Nation members go. Teddy and Dolores ride to an abandoned barn. It is here that Teddy recalls when he was created. Dolores is Teddy’s cornerstone, the key to his story. But Teddy can’t continues following her if she’s only going to behave just like the humans. Teddy shoots himself, and the episode ends. Dolores looks on as Teddy shoots himself. -All appearances are that Emily is dead. But watching Maeve and the MIB riddled with bullets but survive two weeks ago has me questioning if she really is. -It also looked like a member of the crew who came to apprehend the MIB ran some human/host check with his phone. He cleared, so did that prove the MIB is human? -Another great tidbit from the MIB: the hats are how Delos records guest actions in the park. -“A tool to ensure their immortality, but I’m going to use it against them.” The question now is just how will Dolores use it? -Much like “the Cradle” held all the data for the hosts, “the Forge” holds all the a data of any human who’s visited the park. “There’s the origin of an entire species to consider.” Here’s some evidence that Dr. Ford wants hosts to replace humans as the dominant species. -The MIB doesn’t know if he’s human or host anymore. -Juliette killed herself after seeing the MIB’s actions in the park. -In the valley, “The Forge” holds all the data from all the guests who’ve ever attended the park. Dolores means to use that to destroy humans. -Emily found that MIB’s profile through a note from her mom. -Dr. Ford means for the hosts to be a new species. The season finale is next week, and there is a lot of ground to cover. It should be a doozy. See you next week.